Finding the first bunch of asparagus at the grocery store is a monumental moment. It proves that spring is here, and I will gladly take any sign natures gives. 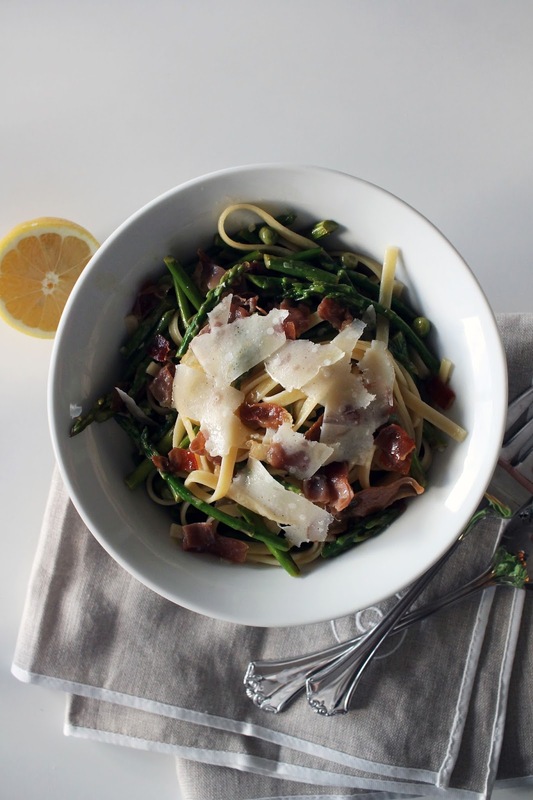 This pasta lets one of my favorite spring vegetables shine. 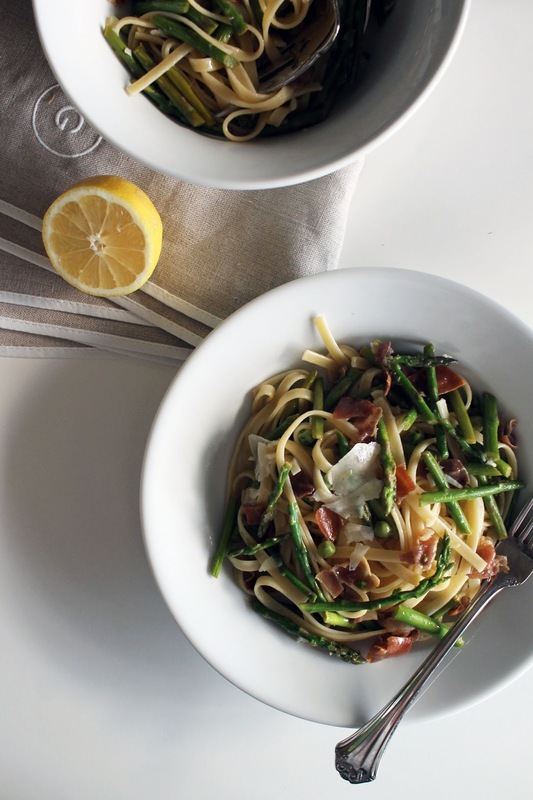 The lemon and white wine perk up what could be a heavy dish while the prosciutto adds a salty bite. 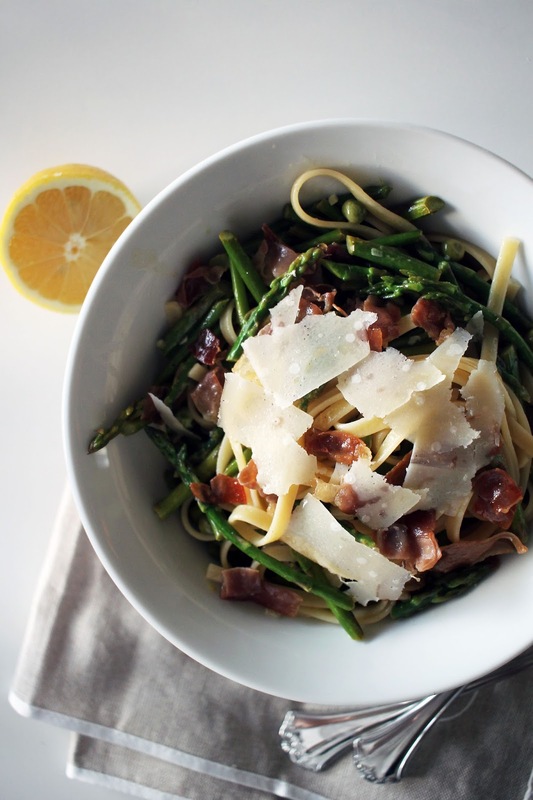 We are only a few weeks into spring I have already made this dish multiple times. Once you try it I am sure you will understand. Bring a pot of water to a boil. Add fettuccine and cook according to package until al dente. Reserve some pasta water for later. While pasta is cooking, add olive oil to a large saute pan over medium heat. Slice prosciutto into one inch slices and add to pan. Cook prosciutto for around 3-4 minutes until crispy. Remove from pan and set aside. Cut asparagus into 1 inch pieces and add to saute pan. Cook for 2-3 minutes until slightly softened. Add garlic and peas to pan and cook for an additional minute until fragrant. Pour in wine and cook until only a small amount remains in the pan. Stir in butter and juice from half of a lemon. Toss in pasta, along with a ladle full of reserved pasta warm. Stir mixture until pasta is coated with lemon butter sauce. Add additional pasta warm if mixture is dry. 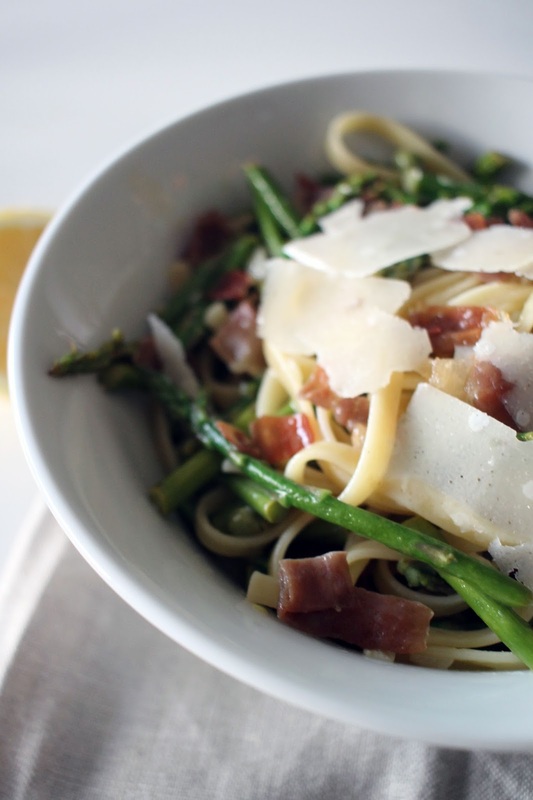 Top with crispy prosciutto and parmesan cheese.